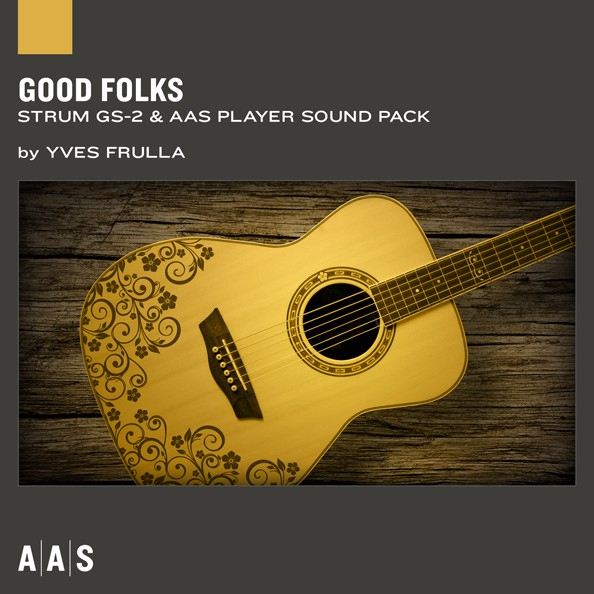 AAS (Applied Acoustics Systems) have today released “Good Folks”, a sound pack for the Strum GS-2 and AAS Player produced in collaboration with AAS newcomer sound designer Yves Frulla. Good Folks joins the rank of Strum’s sound pack series which now add up to three titles. Canadian musician Yves Frulla — best known as Celine Dion’s keyboardist — presents a preset collection that exhibits a playful side to Strum GS-2. The third title of a new and growing line of sound packs for Strum GS-2, Good Folks explores the world of contemporary folk music while remembering its original roots. Canadian musician Yves Frulla is an internationally acclaimed songwriter, producer, and keyboardist. Mostly known worldwide as Celine Dion’s keyboard player. He runs his own project studio in Sin City. Between world tours and countless sold out shows, he recorded three live albums with Celine Dion and appeared with her on many television shows, including David Letterman, Jay Leno, Arsenio Hall, and Oprah Winfrey. Yves Frulla has done work for television and movies as well. He also played alongside and toured extensively and with renowned Canadian artists such as Corey Hart, Bobby Bazini, Michael Breen, Dan Bigras, Sass Jordan, Julie Masse, and Sylvain Cossette. This entry was posted in DontCrack, Plug-ins, Promotions and tagged AAS, AAS Player, Applied Acoustics System, Celine Dione, Folk, Good Folks, Keyboard, Keys, Piano, Producer, Songwritter, Strum GS-2, Yves Frulla. Bookmark the permalink.